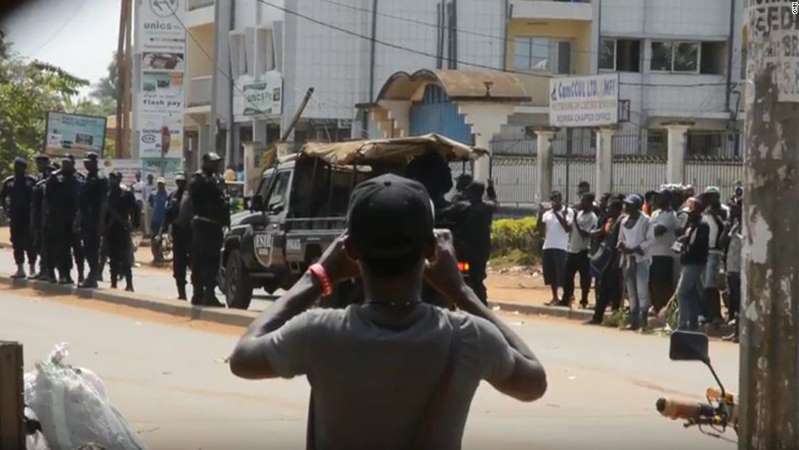 © CNN A series of demonstrations in Cameroon's English-speaking western regions escalated into violent clashes in several cities. The images below show demonstrators in Kumba, in Cameroon's Southwest region on December 9, 2016. Around 400 civilians have been killed this year in escalating attacks between armed separatist groups and security forces in Cameroon's English-speaking regions, Amnesty International said Tuesday. The human rights organization said it had recorded 260 security incidents, including cases of kidnapping of civilians and violence between Cameroon's soldiers and armed Anglophone separatists, since January. Amnesty International said it authenticated two videos it received last week showing graphic images of a beheaded Cameroonian security officer. 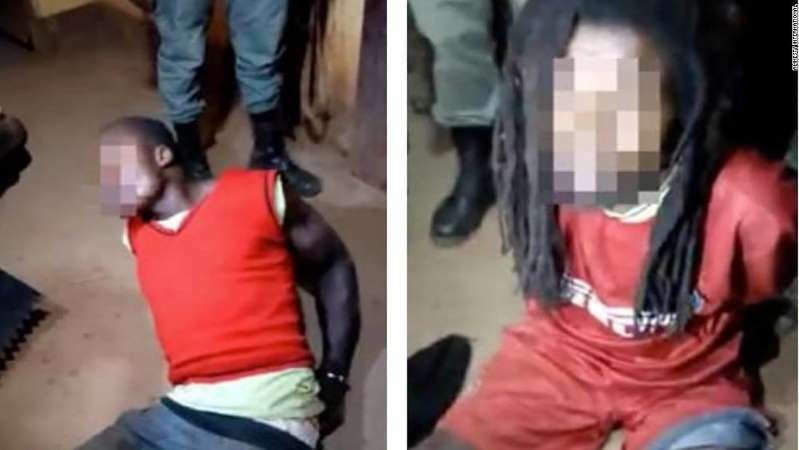 The videos also captured a man who said he belonged to Ambazonia Liberation Forces, a separatist group demanding a secession from the West African country. CNN has not independently authenticated the videos and is unable to immediately reach Ambazonia Liberation Forces for comment. Since 2016, at least 160 soldiers have been killed by armed separatists calling for independence from the French-speaking regions of Cameroon, according to Amnesty International. Separatist fighters unleashed attacks on a group of soldiers in the city of Buea, in southwest Cameroon. in September, Amnesty International said. The "brutal attacks" against civilians and security forces are proof of the "horrific escalation of violence" in Cameroon's volatile Anglophone provinces, Amnesty International said. People in Cameroon's two Anglophone provinces, who make up 20% of the country's population, have long had grievances against the largely Francophone central government. They say they have been marginalized by the country's French-dominated educational and legal systems, which can be traced to Cameroon's post-colonial era. But tension deteriorated into full blown crisis last year after protests in Anglophone regions turned violent, with some calling for secession. The Cameroon government has been accused of using its military to crack down on armed separatists and killing English speakers. Secessionist fighters also stand accused of kidnapping and killing soldiers and civilians. Amnesty International alleged seven students and a head teacher were kidnapped by armed separatists from their school in the town of Bafut, in the northwest part of Cameroon, in September. The hostages were "tortured and seriously injured" by their kidnappers before their release, the human rights group said. 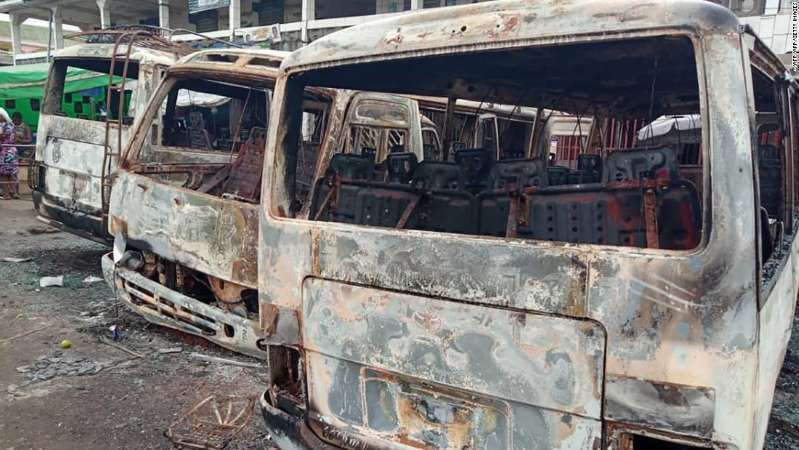 © -/AFP/AFP/Getty Images Burned buses at the terminal in Buea, the capital of a western region of Cameroon, on July 10, 2018. "By also attacking and kidnapping students and teachers, we have reasons to believe many other lives of ordinary people are now at risk with the violence carried out by some members of the armed separatists groups. This must immediately stop," Daoud said. Cameroonians will go to the polls October 7 to elect a new president. Daoud warned there could be an upsurge in attacks by armed separatists, who he said have threatened to disrupt elections. He called on the government to "act immediately" while also restoring peace in its English-speaking provinces. "Violence will only fuel further incidents, crimes and untold suffering. The government must act immediately against this in an attempt to restore peace in the Anglophone regions," Daoud said.